This tutorial is to show you how to use two punches at a time to create frames instead of a solid shape. 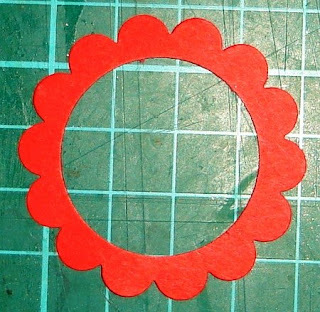 To make a scallop circle frame. 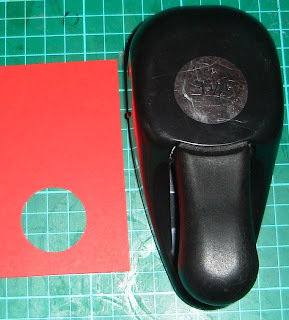 Punch a circle using a 1 1/4" circle punch from your chosen cardstock. 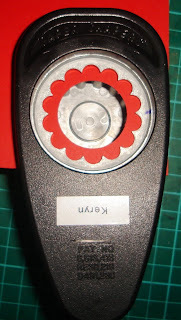 Centre your circle scallop punch so that the punched circle is in the centre and punch. Here is your frame. 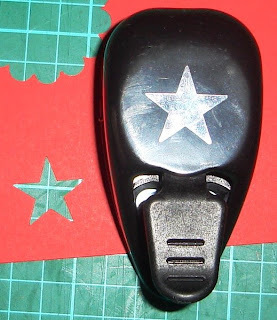 Another one the same as the scallop circle but using two different size star punches. Your shapes don't have to be the same size. 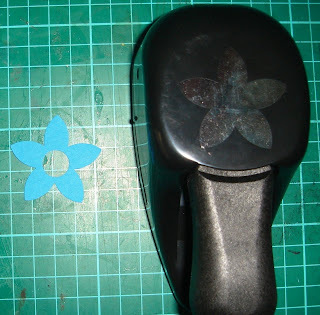 Using a 1/2" circle punch punch a circle in your chosen cardstock. 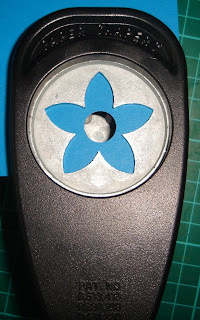 Align the 5 petal flower punch over the punched circle. This one's a great idea for getting small circles to thread ribbon or cord through into a small shape that is too hard to hold. 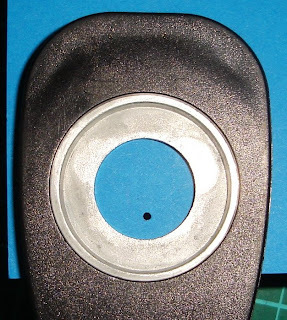 Punch your small hole first with a 1/16" hand held circle punch. It's rather hard to see in the photo. Position your small sized punch over the small circle hole in the position you want it to be. I used a 3/4" circle. and punch. You now have a hole to thread your ribbon or cord through. Think of all the possibilities using, ovals, tags, flowers, squares and any other shape you can find. 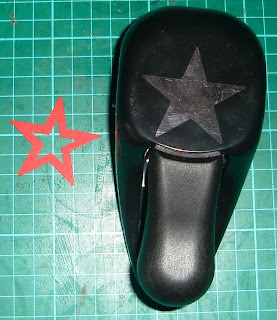 I got the inspiration for this tutorial from a video on Jacque Pederson's website - Stamp Happy. Thanks Jacque. WOW Keryn - I've never seen this blog of yours before. 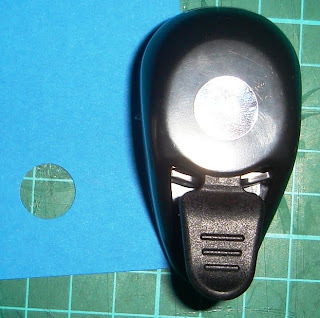 What a fabulous idea, and such good tutorials as well! Good on you!